Packing And Preparing For Burning Man Is An Absolute Mission, I’ll Tell You That For Free. Packing for Burning Man is not something you can rustle together a few days before you head into the desert. If you do? There’s bound to be things you forget and things you then don’t have time to source. You’re going to need to make Amazon orders and store pick ups alongside both Walmart and Costco outings for this one. Burning Man is the real deal. 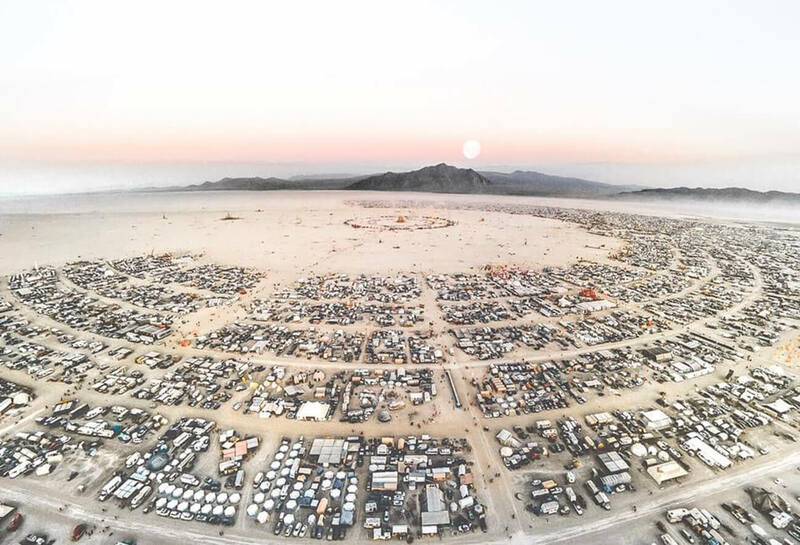 Burning Man is the festival of all festivals and as the commandments state, this festival is all about radical self-reliance, i.e. you have to rely on yourself and no one else. 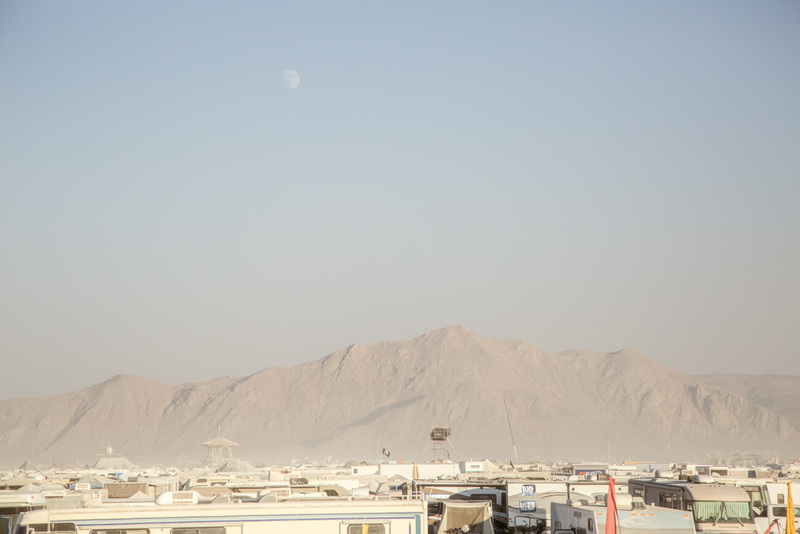 You can read the official 10 commandments of Burning Man here. The only thing that you can purchase when you get to Black Rock City (the festival location) is ice. I think that’s all you can buy anyway. I read somewhere that you can buy coffee too, but I never saw it. Aside from the ice pick up, you won’t find a dollar in sight during your time in this pop up city. 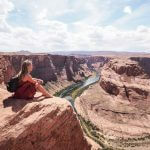 You have a week to survive the desert heat, dust, raves and energy zapping activities galore – and you must bring enough to accommodate for all. Shopping for the latter is rather difficult when you have no idea what your week is going to entail and therefore have no idea what you’ll be wanting. That’s where I’ve got you! I guess the mystery surrounding Burning Man was one of the things that attracted me to the ‘playa’ all this time. The mystery, the magic and the fact that until you go – you really don’t know what goes on in this famous playground. Now that I’ve been to Burning Man I have a pretty good idea of what one might need and what one might want during the week. 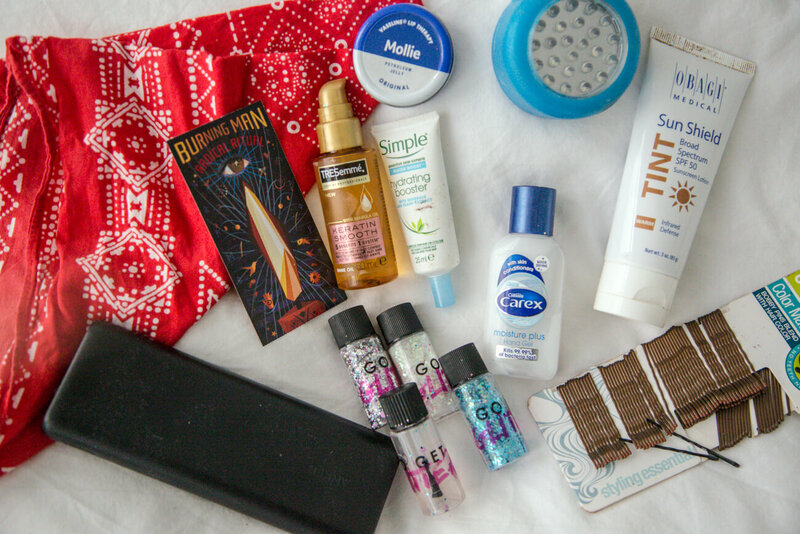 Disclaimer: This packing list will vary from person to person depending on how you choose to camp, how much of a desert princess you are and how dirty you’re ready to get. You are in the middle of the Nevada desert in the summer heat so days are hot (30-38 deg C this year) and nights are usually pretty cold. Friends that had attended last year (2016) emphasised to me the need to bring ALL THE FUR for the nights, but this year most evenings were super mild and I only wore a fur coat out twice. This year the wind was also not so het up (hence the milder temperatures) and so we only had two little dust storms during our time at Burning Man. Basically, you have to be prepared for all potential weather here in the desert and it has the potential for anything. Girls, you’ll pretty much be naked, or half naked at least. It’s simply about how far you’re comfortable to take it. As the week progresses and you settle into your new home, you’ll be wearing less and less. You’ll soon realise no one cares and that there always someone more naked than you. It’s HOT and we prioritise being comfortable in the desert. You should never go out at night without lighting yourself and your bike up. 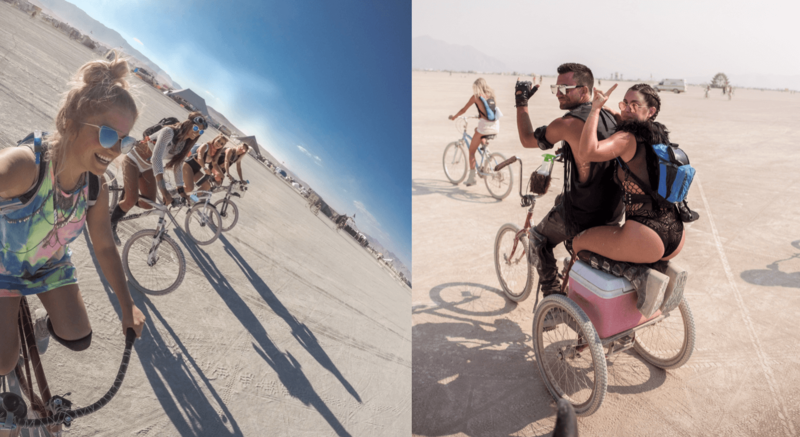 There’s a thing called ‘tutu tuesdays’ at Burning Man so if you want to get involved – pack your tutu! I actually bought a pair of sculpting black hot pants from Primark for £2 and ended up living in them. They were the best comfy daytime option that transferred to a great evening option with some sparkles on top half. I would grab a couple extra pairs next time. Clothes with LED lighting can be pretty expensive. If you want some but need to stay in budget, we added some LED’s to our lights with safety pins so grab some LED’s shop here and then a pack of safety pins! Food purchases depend on whether you have a generator for running a fridge, whether you have a freezer or whether you’re camping with cool boxes. We got mainly food that didn’t need to be cooked and took a few cool boxes that we topped up with ice (which we bought on the playa, see above). Obviously possibilities are endless if you take a gas stove, generator, camper van or RV. Maybe next time! Water – aim to 1.5 gallons each per day. You don’t want to run out!!! Tip: Pick up your water in Reno on the drive through. Less weight to carry. A BIKE. 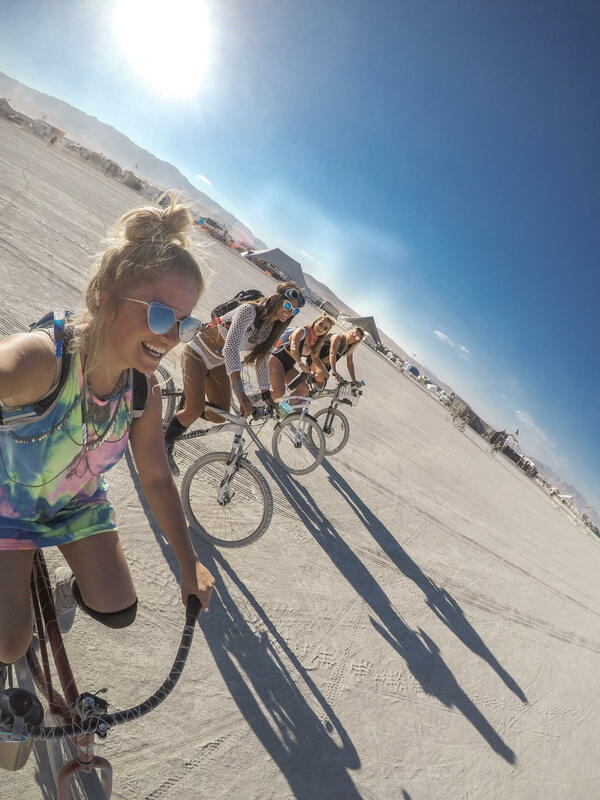 YOU CANNOT DO BURNING MAN WITHOUT A BIKE. You can pick one up at Walmart for as little at 79$. I ordered one online and picked it up at Reno Walmart on my way through to Nevada. Tip: If you can, get a tricycle where you can put a cool box on the back for daytime explorations. When you’re in the desert and dancing you’ll be gagging for anything cold. Having a toolbox of beers and drinks is the ONE. Next time. This will change your entire life, I made BBF’s with anyone that had one. I wouldn’t go without one again. Seriously. Create shade. Noone likes hangovers in the desert heat. To check up on your awesome outfits, apply glitter and generally check you’re alive. Obviously. To chill on in the day, to use while you eat or are pre-gaming. To raise food / clothes / cooking equipment off of the floor. Tip: Costco stocks lots of cheap pillows, mattresses, sleeping bags and cushions. Walmart has all your camping essentials. Medical kit including: emergen C (vitamin c sachets popular in america), electrolyte drinks and packets, blister plasters, lip balm with SPF (I got sun blisters on my bottom lip after spending a full day in the sun), advil / paracetamol. … and of course your standard toiletries: Toothbrush, toothpaste, floss, deodorant, ear buds, facial cleanser and moisturiser, shower gel, sun cream etc. The fine white playa dust will get EVERYWHERE… up your nose, in your hair and everywhere on your body. Your nose is likely to dry, bleed and block unless you take nose plugs or wear a dust mast. You kinda embrace it though. Keep tissues on hand for nose bleeds and vaseline to soothe it. Your hair (even if you don’t wash it for a week like me) won’t get that greasy. The playa dust kind of acts like a dry shampoo and does wonders for your hair volume and styling. Don’t stay on top of it though and it will begin to matt and dread. I left conditioner and hair oil on the ends everyday and ran my tangleteaser through it. There were breakages but it wasn’t totally destroyed. Others get their hair braided, keep it up or wear wigs to protect it. Your body will just need to surrender to the dust. I would recommend body lotion to keep it hydrated though. I think that’s everything! If I think of something I missed, I’ll add it in. Do you want to read more about my Burning Man experience? Check out my complete guide to Burning Man here. See my reaction to Burning Man 2017 here. 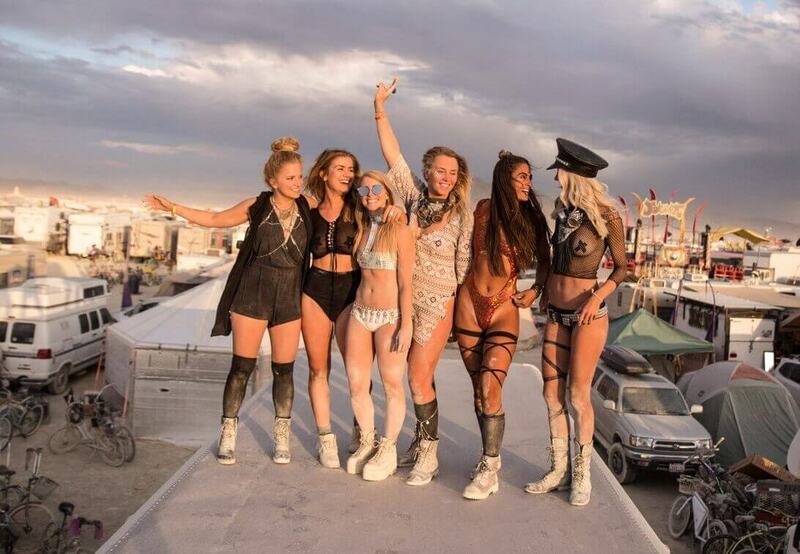 Have you been to Burning Man? What were your playa essentials? I’d love to know!